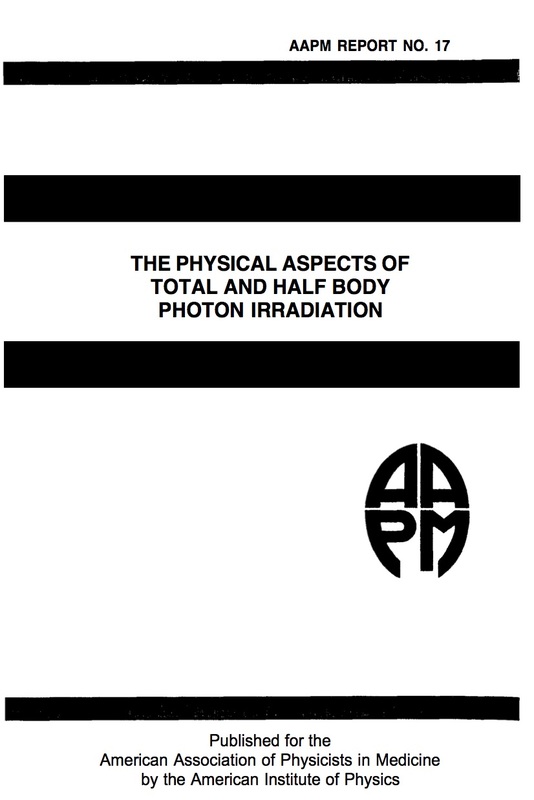 In recent years, there has been a revived interest in the use of very large radiation fields for the treatment of a variety of malignant diseases. The ability to provide these very large fields and the corresponding delivery of a specified dose of radiation have been challenging for the medical radiation physicist33,78,100 . Because of the constraints of radiotherapy apparatus, the techniques associated with total and half body radiotherapy have been as varied as the number of radiation oncologists using them. The treatments are complicated by uncertainties in absolute dosimetry as well as large dose variations across the target volume, making it very difficult to assess clinical efficacy when comparing results from various treatment centers. Furthermore, the actual dose delivered to the patient is often limited by normal tissue tolerance. Ideally, accurate dose response data should be available so the clinician can optimize the therapeutic effect while minimizing normal tissue complications. In principle, this information can be derived by assessing how patients respond to therapy. In practice such information is difficult to obtain. Herring36noted that institutions with a large number of patients generally treat with a small dose range while the collecting of patient data from different institutions is confounded by a lack of uniformity of dose prescription, dose delivery and clinical evaluation. Multi-institutional clinical trials are designed to minimize these variations; however, patient selection and adherence to therapy protocols remain ongoing problems. One thing is sure: the techniques and dosimetry of radiation treatments are more controllable than many of the other variables associated with clinical trials. It is, therefore, imperative that the medical physicist should provide an accurate control of the radiation dose delivery such that uncertainties in target and normal tissue doses do not become the limiting factors in evaluating clinical trials nor, for that matter, in individual patient treatments.